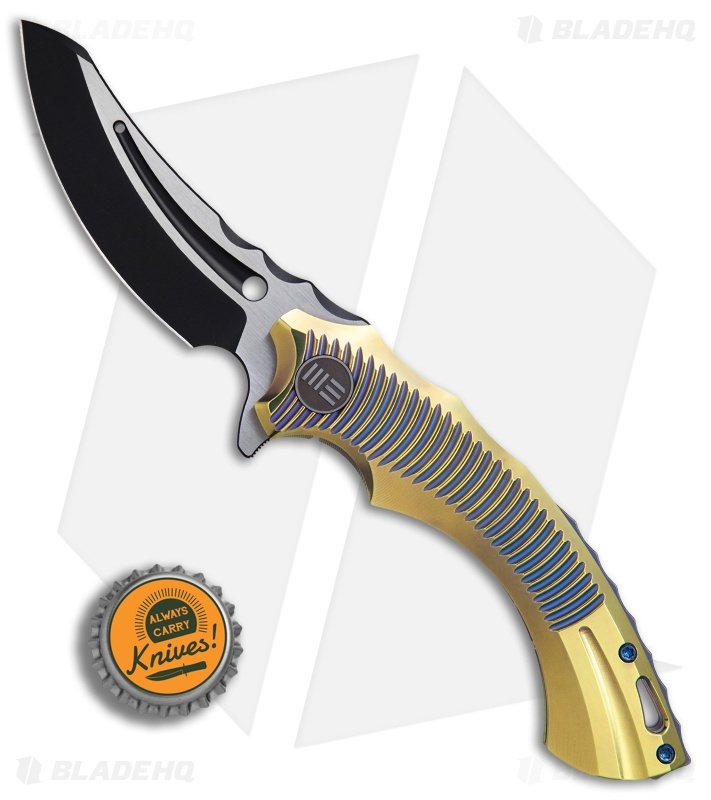 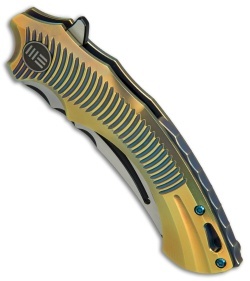 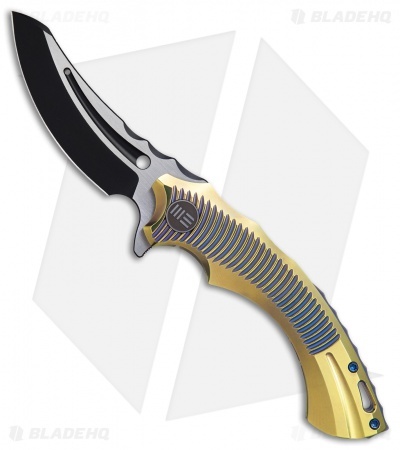 This Sea Monster model has a gold anodized handle and a two-tone black/satin blade. The WE Knife Co. Sea Monster sports a unique, serpentine design executed with comfort and style in mind. Its contoured handle is shaped with ample grooves and ridges to promote a secure grip. The Sea Monster comes equipped with an upswept blade made from resilient Bohler M390 steel. 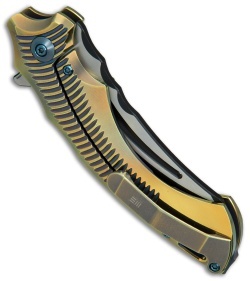 Ergonomic titanium frame lock handle with steel reinforced lock bar for over-travel protection. Blade flipper and a ceramic ball bearing pivot provide fast and responsive blade deployment.